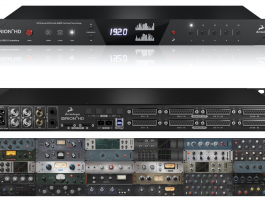 Slate Digital brought out the Virtual Mix Rack (Review Here) and promised all sorts of new modules. They started with modeling some of the greats and now are offering a design of their own, the Custom Series EQ. This EQ does something that many mix engineers have done on their own in the past with both their hardware, plugins, or even a combination of both. Engineers like Manny Marroquin use specific hardware EQs for specific characteristics on specific frequencies to obtain what they consider the perfect EQ. This setup usually isn’t ideal for the common engineer both due to lack of hardware, or in plugins cases, precious system resources. 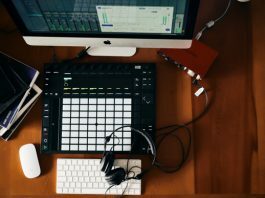 Waves has given similar approaches with the Manny Marroquin and Hybrid EQ by using algorithms from other plugins, but Slate Digital wanted to push the envelope even further. 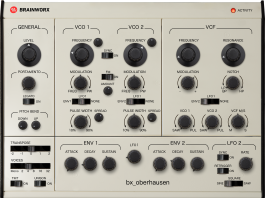 The result is two new modules for the Virtual Mix rack, built from the ground up by Slate Digital. This is one of Slate’s first completely original EQ designs and the description is pretty much your standard Steven Slate opener: “What if there was one equalizer that could recreate the best aspects of some of the greatest equalizers in the industry?” That’s a pretty tall order right? Two Custom Series EQs were loaded; 10kHz was boosted on one and cut by the same amount on the other. An analyzer from out good friends at Fabfilter was loaded after, and the exact same phrase of audio was played each time while the analyzer was in “freeze mode”. Slight differences both sonically and visually can be shown. If you zoom into each frequency plot you will see that the first, where the knobs were compensated for has an overall slight shelf dip in the 10kHz region. Using VMR to bring up two separate Custom Series EQ’s doing opposite roles on the same frequency can give slightly different results. Having the Rack also means that you can load up 3 instances of Custom Series EQ and use every available band. Slate really went the distance to put the “custom” in their “Custom Series”. Even the output stages of each EQ were each modeled to represent all of the great things that are liked about analog gear to bring out the best in each frequency. How does it perform? Well the ways the cuts and boosts work for each application makes finding the sweet spot very easy. The cuts grab just enough of what you want taken out in respect to each frequency while leaving the rest in tact and boosting in almost all cases produces exactly what you’d like to hear. It definitely has taken the guesswork of gain/Q interaction out of the equation and lets you skip to the results. The high and low pass filters worked very nicely to take out the corners while leaving a natural sound. 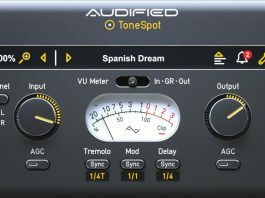 This EQ is as good for correction as it is for enhancing. The results are very audible when turning the knob in a good way and for the most part, the frequency selections are all the ones you need… except one. There is a decent sized gap between 800Hz and 2kHz where a great deal of frequency content can make or break a song and these are missing from custom series. I know you can’t have it all but sometimes you want to crank 1.5kHz into a compressor and Custom Series just can’t do it. 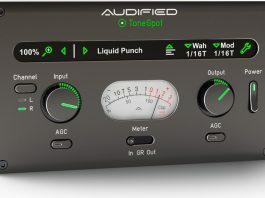 Other than that, the EQ is an easy go-to for just about any audio application. But this wouldn’t be considered a bundle without more than one module. We also have Custom LIFT. We all got Revival for free when we downloaded Virtual Mix Rack. Why do we need another two band EQ that covers the corners? Simple, they’re not that much alike. Steven Slate said it best himself that Revival is considered the paint and Custom LIFT is the polish. LIFT is a very simple tool. You’ve got two big knobs that represent boost of either low or high frequencies, 2 buttons per frequency with descriptions of how we want audio to sound and an output knob. Pretty easy concept right? You just boost what you want more of and LIFT takes care of the rest. 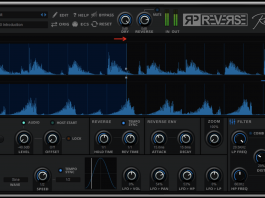 Depending on which “description button” you select per frequency, the parallel filters will start boosting frequency based on how much you turn the knob. The “Present” will push more mids whereas the “Silky” will add a nice sheen to the top end. On the Low shelf, the “Big” will increase overall lows whereas the “Punch” will push more low mids. The parallel filters will do all of the work for you. All you have to do is pick what track you want it on and turn knobs. That simple. The results are pretty impressive with LIFT. It works great on pretty much everything. Audio doesn’t seem as much affected as it does simply enhanced. It takes the source audio and brings out all of the good. I use it on busses religiously since I got it. Care should be taken though that more isn’t always better. It’s very easy to get caught up and put this on everything full blast, but like many great tools that impact audio as much as these do, discretion is the name of the game. I’ll admit I loved pulling the top back and giving the master fader the business with LIFT but alas ear fatigue can get you quick with high frequencies and too much can come into play quickly. Use responsibly! Both Custom Series EQ and LIFT are easily some that you will immediately reach for when mixing. They make mixing much easier, almost like cheating. The lack of representation of 900 – 1.5kHz is definitely a drag but it doesn’t take away from what the EQ does. In fact that is just a testament to how great the plugin is. Hell, just listen to how it boosts and cuts all other frequencies and tell me you wouldn’t want to hear that algorithm on 1.5kHz in a vocal track. Of course if you’d like to boost particular frequencies in between the ones Custom Series EQ has, you should get the entire Virtual Mix Rack. For the first EQ that Slate Digital has put out that is their own design, I’m very excited to see what new modules they make that are all original. The Custom Series Bundle does find a great fit within the Virtual Mix Rack franchise, adding exactly where others left off. 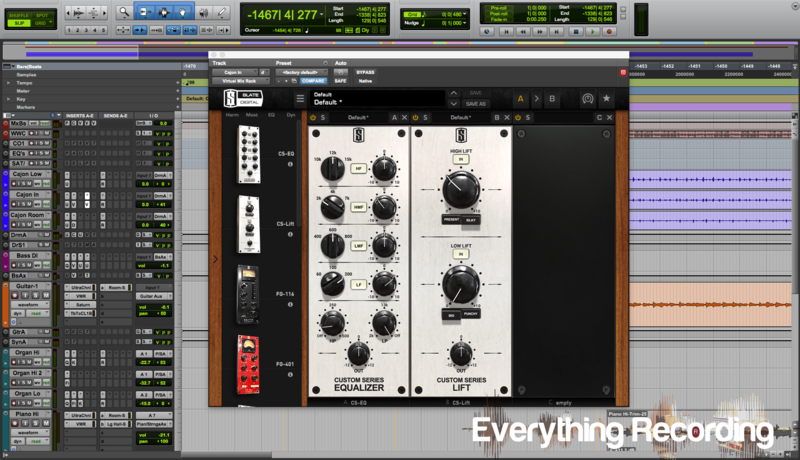 The days of piling multiple plugins could be coming to an end with the Custom Series EQ.